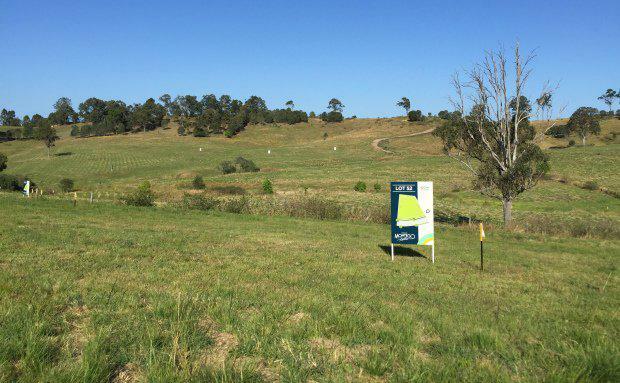 Villawood Properties has commenced construction on its Montego Hills acreage development on the Gold Coast with a $4.2 million program of works. The program includes site earthworks, utility installation, stormwater drainage and civil works, including the creation of the community’s first road. Work has also begun on resurfacing a 370 metre section of Upper Ormeau Road, at the front of Montego Hills, including the installation of curbing and guttering, and turning lanes and resurfacing of the road. The work follows the release of the community’s third land release on the weekend. A total of 30 acreage lots have been sold since the community’s launch almost four months ago. Villawood Properties co-Executive Director Tony Johnson said it was exciting to see Montego Hills emerge from the ground so quickly. “This work paves the way for the construction of the first homes next year. It’s remarkable to think how quickly the community is taking shape – a testament to the demand for well-positioned acreage in the region,” he said. “The majority of our home buyers to date are second and third homebuyers from the local area, particularly Ormeau, Coomera and Hope Island. They’ve been drawn to the convenient location and rural lifestyle, and all the benefits these bring. Villawood Properties is a privately owned company, founded by Rory Costelloe in 1989 and today operated with co-Executive Director Tony Johnson.